Car Accident Wrongful Death & Personal Injury Lawyers Blythe, California! Blythe, California Car Accidents Lawyers with Over 40 Years of Experience and a Success Rate of Greater Than 95%! Blythe, California car accidents cause serious injuries, sometimes deaths with wrongful death claims, and substantial property damage, sometimes even total losses that require car replacement. Having more than 40 years of experience in handling thousands and thousands of car accidents and other accident injury claims in Blythe, Riverside and the rest of California, we are a team of experienced attorneys offering our legal services in Blythe, California. Our personal injury lawyers for Blythe fight for maximum monetary compensation for our personal injury clients. We guide clients through the many complex formalities and procedures, such as time deadlines and the statute of limitations that apply to personal injury claims. Our injury lawyers and law offices will put in their best efforts to live up to the expectations of our clients and provide them with solutions in the best possible way. Please click here to see what our clients have said about us in our testimonial section. There are many time rules (including the California statute of limitations) and procedural rules (e.g., in car insurance and truck insurance policies, the California DMV, etc.) so please do not wait. Call us at 818-222-3400 or 1.866 INJURY 2 (after hours just dial “1”) to get your FREE consultation and case evaluation. Please do NOT wait – we hate it when a possible client contacts us after the deadline passes. Vehicle Repairs: Blythe, California car accidents result in major property damages to car and other motor vehicles. Our Blythe, CA car accident lawyers and law offices help you with vehicle repairs including towing, free rental and storage to the best possible extent. Medical Care: In many car accidents, serious injuries are likely to happen requiring medical care and physical therapy. Our Blythe attorneys help clients find the required doctors and other medical specialists like orthopedic surgeons, neurologists, psychologists, dentists, etc, including MRI and CT scans for our clients. These medical specialists usually provide all the necessary treatment without expecting payment until the case has been resolved as they want you to receive all the medical care you deserve. Cash Advances/ Emergency loans: Car accidents can really affect your financial state. Medical bills stack up shaking your finances, when injuries and medical care may prevent you from working. Therefore, our personal injury lawyers will help you in acquiring emergency loans and advances, as and when appropriate for your case. If you need this help, just let us know. Transportation to Doctor: Our car accident lawyers and law offices assist our Bythhe Riverside clients in finding doctors, arranging appointments when needed, and we often can arrange transportation for injured clients to and from the hospital, medical clinic and other doctor and physical therapy appointments when needed. Just let us know! If you are a victim of a car accident with a personal injury in Blythe, Riverside California, then contact us now for your FREE & CONFIDENTIAL car accident personal injury consultation. Click here and fill-in our form to let us know about your Bythe Riverside car accident case. 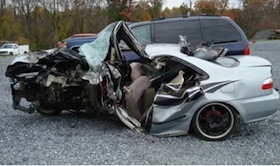 To know more about our car accident lawyers and law offices, including our experience, please see our lawyer profiles. Also, learn about the procedures and formalities that are involved in handling wrongful death claims. To get a more specific and courtesy FREE consultation about your particular car accident injury claim or anything regarding a wrongful death accident case, just call us now at 818-222-3400 or 1.866 INJURY 2 (after hours please dial “1”) or visit our Car Injury Accident Web Site. We offer an absolutely free legal consultation on accident cases and take our clients’ car accident cases on a contingency basis. That means you pay NO fee until your case is resolved. The amount that we charge is paid through our recovery, which means it usually comes out of the other parties’ insurance company we fight against and NOT out of your own pocket! Blythe is a city in the Palo Verde Valley in the Riverside Country of California. The city was incorporated on July 21, 1916. The city of Blythe has a total area of 27.0 square miles. Blythe experiences a desert climate that has very hot summers and mild winters. It has a total population of 20,817, as per the 2010 census. 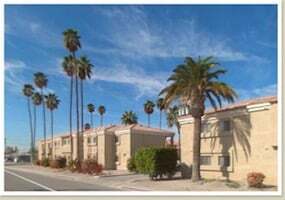 It is a stopover city for travelers, travelling especially between Los Angeles and Phoenix. This area also is very much popular among campers and hikers. Some of the renowned actors born in the Blythe area include Walter Scott, Gary Goddard, David Rowden, Ashley Poole, Ben Scott, Stephanie Strother and Tony Eason. 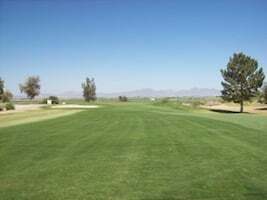 Some of the popular tourist attractions in Blythe are Hauser Geode Beds, Blythe Municipal Golf Course, Opal Hill Mine, Aloma Lake State Park, Arlington State Wildlife Area, Bear Canyon Falls, Glynns Falls and a few others. Our entire firm focuses on handling cases of personal injury accidents. Graduated Phi Beta Kappa at UCLA, one of the oldest Academic Honor Society of the nation. Blythe, CA car accidents can cause devastating and catastrophic injuries and wrongful death cases. It is very easy and convenient to contact our Blythe car accident injury and wrongful death injury attorneys. You can fill-in the contact form and let us know about your Blythe, CA car injury or family’s unfortunate death case. We work on contingency fees for our services on accident cases which means we do not charge a single penny until the time your case is resolved AND our consultation is FREE & CONFIDENTIAL so please do NOT wait. Please do NOT let the time deadline pass so you and your family receive nothing! Please call us now. You will be glad that you did.